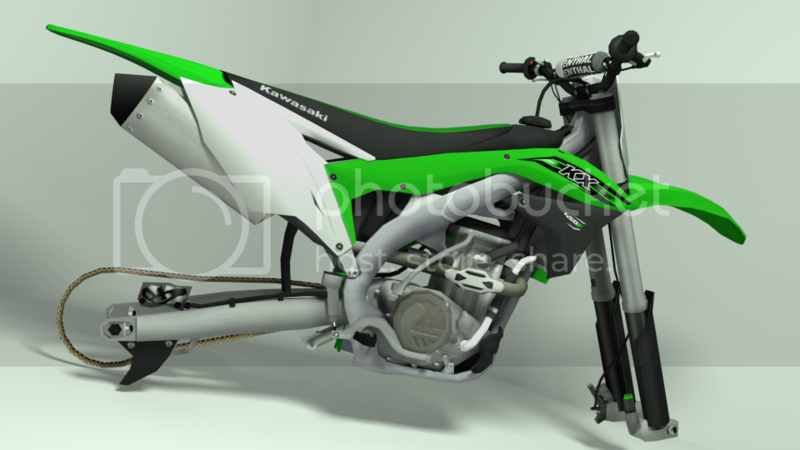 Here's the 2016 Kawasaki 450f and 250f. I did the entirety of the model and texturing myself besides the chain which is off of DJ999x's yz. Thanks to Boblob801 (Stevo) unwrapped the frame for me. I know There is a lot to be desired on the textures and even the modeling but it was a good learning experience for me and I hope I can do another one in the future. Have fun! Last edited by paulr093 on Fri Aug 07, 2015 5:33 am, edited 1 time in total. byrd55621 wrote: what about a psd? You should be able to put your number on in bike setup and it should show up on the side plates and front plate. What are you supposed to change? Choose to not save is as a txt?